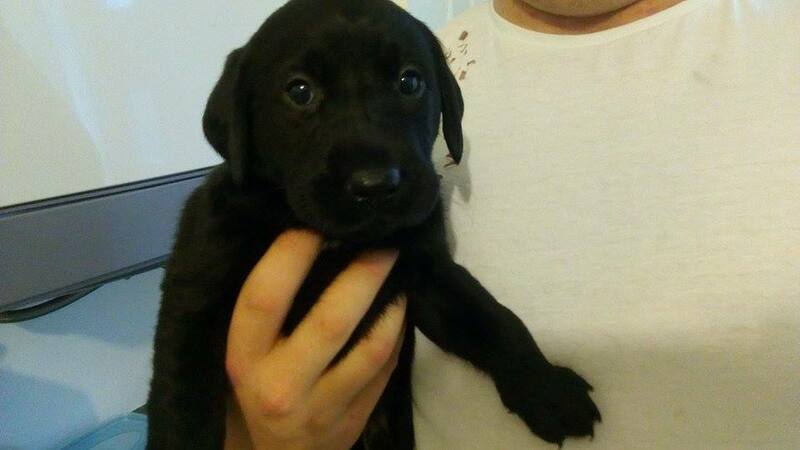 2 Male puppies remaining from a large litter of Labrador puppies born 9th August 2017, available to leave for their forever home Wednesday 4th October 2017. They are currently a little over 6 weeks old, they are walking, their eyes are open and they are slowly being weaned onto solid food. We are training them to use puppy pads and to use the garden for their business. A £75 non-refundable deposit (payable by cash/bank transfer) will secure your chosen pup with the balance paid on collection (delivery available on arrangement for minimal cost to cover fuel). Buyers will receive a receipt for any payments made. Each pup underwent a check at 24hrs old and will receive an 8-week check at the Vets. Each pup will be microchipped and received their 1st vaccination. They have been flea treated with Frontline and wormed with Drontal at 2-weekly intervals from 2 weeks old. They will have begun to be toilet trained to use both a puppy pad and use outside and will all be fully weaned onto a dry food diet when leaving for their new home. The buyer is responsible for ensuring the microchip details are transferred upon on ownership of the puppy and ensuring the puppy receives their 2nd vaccination at 10-11weeks old at their cost along with a further worming treatment required at 10 weeks and 12 weeks of age. The litter has been very well handled and socialised and has been reared in an environment with small children and other pets. They are lively, affectionate and gentle and are developing very well! Both the Sire and Dam live in our home and can be seen along with the pup. The mother is a beautiful golden Labrador 3 years of age, she is gentle in temperament and very loving. She has proven to be the most wonderful companion. The father is a large black Labrador approximately 2 years old. We recently re-homed him and he has been a welcome addition to our family. He is soft in nature and has coped well with the introduction of new training to his routine and we would not be without him now! 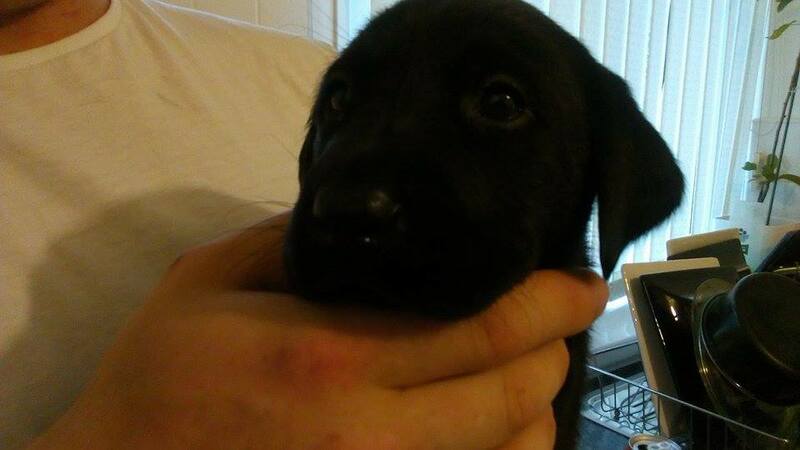 Both parents are full pedigree Labradors HOWEVER the puppies will not be KC registered, hence the price. We dearly want all the pups to go to a loving home. They will make a beautiful addition to any family, but please do not be offended by any questions we may ask. We simply wish to seek the most suitable owners for them! Additional photos are available on request, however, I have tried to advertise them with photos that really show their personality. Please feel free to get in touch with any questions, we will do our best to get back to you as soon as is possible! Please call/text 07484783456 or after 6pm feel free to call 01914214486.